Mercedes-Benz has launched the new C-Class facelift in India. Though aesthetic changes are subtle, Mercedes has introduced new powertrains to the C-Class lineup along with a brand new variant. It is available in three variants which include the 220 d Prime priced at Rs 40.0 lakh, 220d Progressive which costs Rs 44.25 lakh and the new 300d variant available at Rs 48.5 lakh (all prices are ex-showroom India). The C 300d is available with the AMG line only and is powered by the same 2.0-litre engine that also powers the E-Class LWB. Under the C 300d’s hood, the 2.0-litre BSVI-compliant engine makes 245PS of max power and 500Nm of peak torque, mated to a 9-speed GTronic transmission. This makes the C 300d the most powerful diesel C-Class ever to be launched in India. The 220d variants are also powered by the same engine but in a lower state of tune. In the 220d, the engine makes 194PS of max power and 440Nm of peak torque and comes mated to a 9-speed GTronic transmission. List of standard features on the new C-Class is quite extensive. All three get a sunroof, the 300d, however, gets a panoramic unit. LED headlamps are offered as standard along with a new infotainment system and the park pilot assist. Currently, the C-Class is available with a diesel engine only with a petrol option set to arrive in 2019. Mercedes-Benz C-Class prices start at Rs. 43.47 lakh for petrol and goes upto Rs. 80.36 lakh. The prices of C-Class diesel variants start at Rs. 40.20 lakh and the top-end diesel is priced at Rs. 48.74 lakh. Mercedes-Benz C-Class is available in 6 variants and 6 colours. The claimed ARAI mileage for the Mercedes-Benz C-Class petrol is 17 kmpl, and for the Mercedes-Benz C-Class diesel is 19 kmpl. Q. WHAT IS THE FIRST SERVICE COST OF CLA PETROL? Q. How many plugs does Mercedes Benz C-Class have? There are three power outlets in the car two on the front and one for the rear. There are micro-USB ports are also there. Q. Why should I buy C-Class instead of X1? Q. 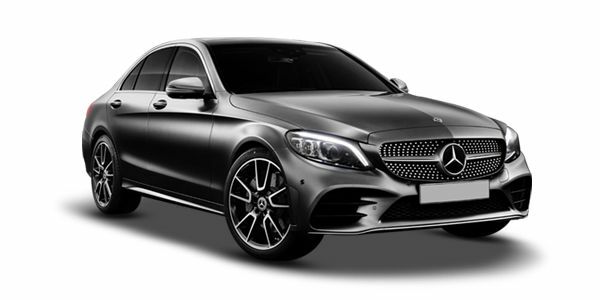 Which car should I buy CLA diesel or C Class diesel? The current generation C-Class has had an exemplary run in the first half of its life. To keep the momentum going in its second innings, the C has received some serious changes. What’s new?